I was looking for something to read last week on my vacation. I happened upon Brene Brown’s book Braving the Wilderness. I first heard of Brene through her TED talk on October 6, 2010 on the power of vulnerability. I liked what I heard. The conversation and her own story helped me reflect on my own “quest” or “journey” to true belonging. I share my story as a way to encourage your own. The stories of true belonging seem to have some common threads. Many start with the principals looking “out there” for answers to their belonging, rather than looking “in here.” My story is no different. From the time I was very young, I viewed my father’s ‘corrections’ as an indication that I wasn’t good enough. So I tried harder. This ‘trying harder’ translated into the philosophy I would live by for the next 30 years. I thought doing things for others would mean they would like me more. I suppose at some level I was striving for perfection, not realizing at the time what an unattainable goal that was. My ‘philosophy’ continued into my teenage years of dating, and into my 20’s. I was a ‘nice guy.’ The kind of boy you’d want to bring home to meet your parents. I spent a lot of time meeting other people’s needs without a full understanding of my own. I also spent a lot of time trying to hide my ‘dark side’ from others for fear they wouldn’t like me if they saw my temper or my judgmental side. By that time I had a three-year old who was such a huge part of my world. I wanted to be the best father ever. We had a great time. I was a great playmate. I also created an unhealthy dependency for her on me to be her playmate. The ‘uncoupling’ of this side of our relationship would be painful. I next had to be willing to be vulnerable enough to acknowledge my darkness; at one time this was my worst fear. One little secret. Those that knew me, already had seen that side. I wasn’t hiding anything. This was a very hard part of the journey, as opportunities to be vulnerable and accept all of me were difficult. I had wired myself to believe that the ‘dark’ side of me was not okay. It took perseverance and a willingness to reveal those parts of me. While I didn’t like that side of me, I came to realize they were part of me, just as the ‘light’ was. In exchange for my willingness to be vulnerable around my dark side, I experienced deeper relationships. There was a new richness to the fabric of my life. At the beginning of this journey I don’t believe I knew to call it my ‘true belonging,’ nor would I have known it was a journey to find me. I did sense, however, that it was a journey long overdue, and that it would determine a lot about the quality and happiness of the remainder of my life. I am writing this over 28 years from the genesis of my journey home to me. 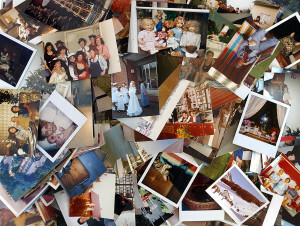 I smile as I review the myriad of pictures of my life since the beginning of that journey. Remarriage, blended family, community of close friends, job success, struggles with children, children graduating from high school, the girls from college, loss of my job, prostate cancer, starting a company, care of my elderly father, birth of my first grandchild, and then the second, the marriage of my son, death of my father, marriage of a daughter, birth of a third grandchild, many dinners together, 25 years of a beautiful marriage… doing life as me.